With paint ball game becoming more and more popular, more and more person take the extreme paintball as a amusement activity. The paintball air bunkers come into the daily life more and more frequently right now. And for paintball games, there are indoor paintball games and outdoor paintball war. Both paintball game need the bunkers to make cover for players. 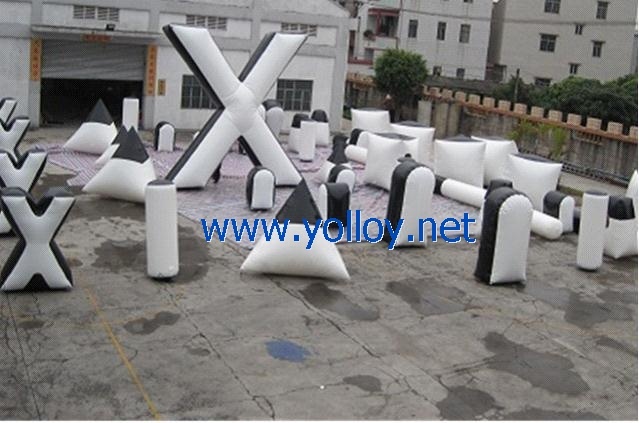 For this black and white paintball air bunkers for paint ball game, there are 45 bunkers in total, here are the details, please pay more attention.